“Goodnight Tampa” is a children’s book inspired by the classic, “Goodnight Moon”, penned by Margaret Wise Brown in 1947. 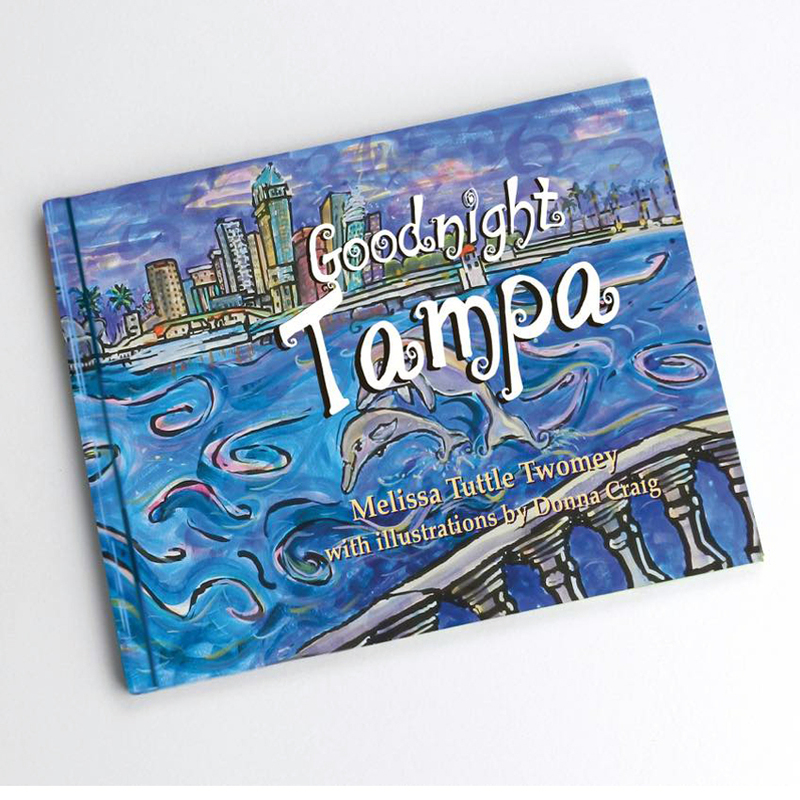 Written in rhyme, “Goodnight Tampa” celebrates Tampa’s family favorites with whimsy and vibrant color. Written by Melissa Twomey and illustrated by Donna Craig, these pages come to life. For all lovers of Tampa, of any age, this book is a must have on your bookshelves!